I'm finally feeling better! Good even! After weeks and weeks of morning sickness I can finally say I haven't gotten physically sick in two weeks. My energy level is returning back to normal. Its great. I have officially become a human eating machine, and I actually like the way food tastes. 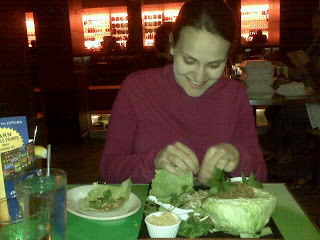 My first truly great meal was at a restaurant named Chino Latino's. I pretty much love everything I've ever had there, but I had been craving a dish called Black Laab. 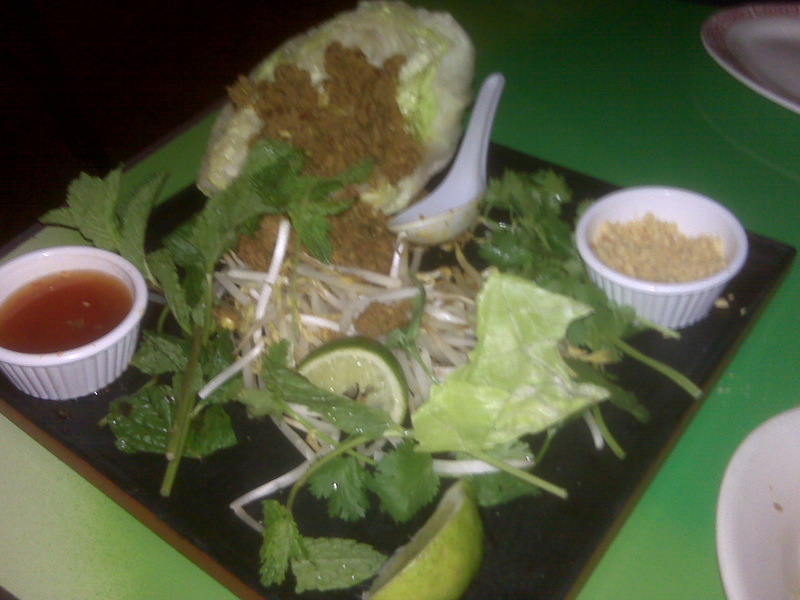 It is basically spicy beef Thai lettuce wraps. I haven't tasted something so great in awhile, and honestly I would eat it everyday if I could. Seriously. AMAZING. Anyway, ever since eating it I've turned the corner and I'm looking forward to all the new surprises the 2nd Trimester brings. 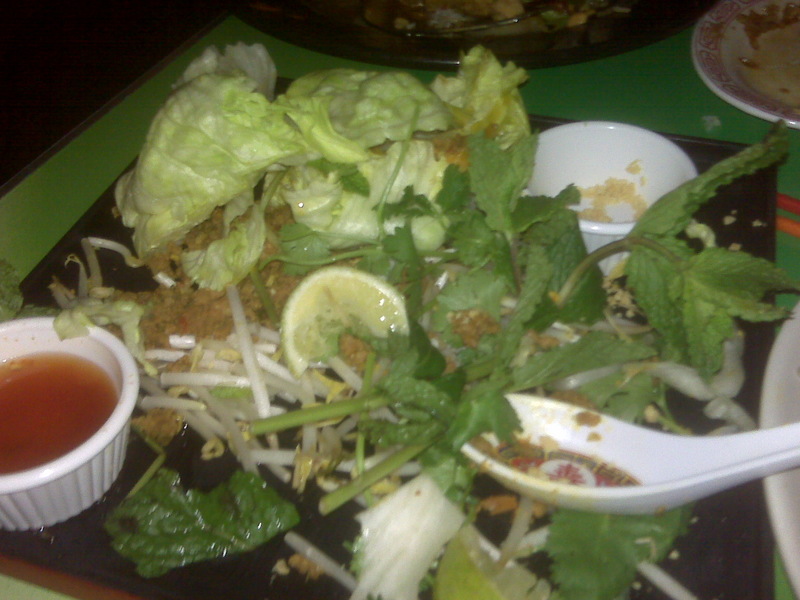 So happy making lettuce wraps. The aftermath, Morgan had to stop me from finishing it all.